One of the things to come out of San Diego Comic Con that generated quite a bit of mixed interest and controversy was the announcement of Marvel and Disneyland Parks finally partnering up to create Marvel attractions. The Marvel brand has a presence with Disney merchandising. From the former Super Hero HQ to Gone Hollywood on Hollywood Blvd in California Adventure, fans are eager to embrace the Marvel spirit. With a Meet and Greet with Captain America and Spider-Man at the “15th Police Precinct” in Hollywood Land, California Adventure seems poised to become more marvelous then previously speculated. Welcome Guardians of the Galaxy: Mission Break Out! A new ride overlay for the beloved Twilight Zone Tower of Terror attraction. 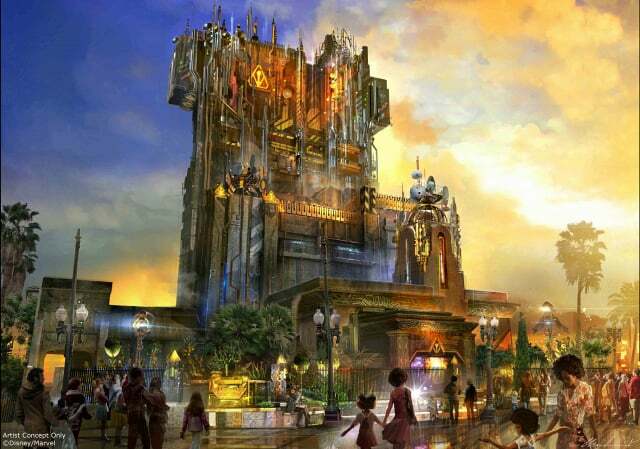 Marvel debuted new concept art of the attraction during the Hall H panel at comic con to mixed reactions. Many people were excited, but the attraction is popular and it was met with quite a bit of scorn despite the absolutely gorgeous concept art. 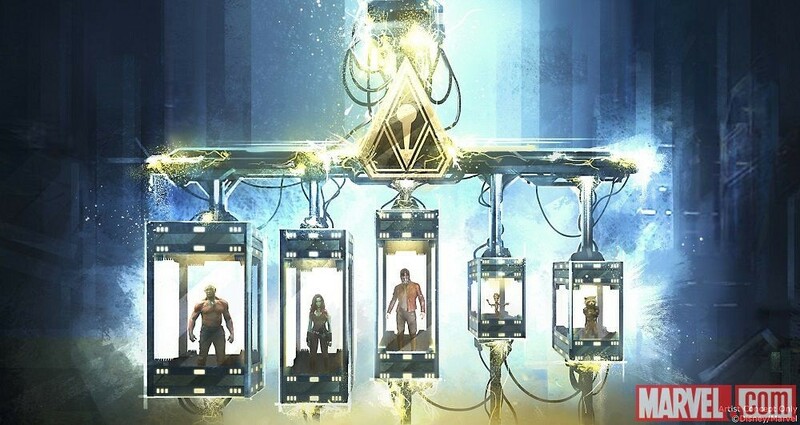 As the tour continues, fans will be taken to where the Guardians of the Galaxy are being held in cages over a swinging abyss. 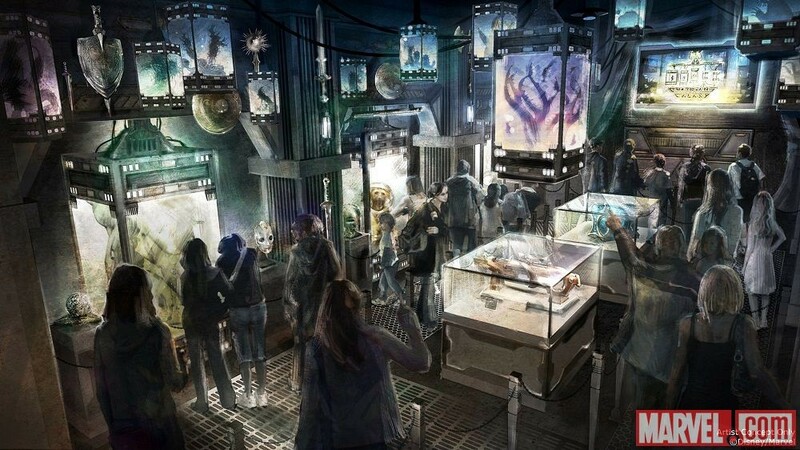 According to Marvel, what the collector doesn’t know is that Rocket Raccoon has escaped, and that he’ll be enlisting the help of park guests to help the Guardians escape, using the famous drop that’s made the Twilight Zone so popular. While fans are worried, the initial concern seems to be that the ride mechanics stay the same. The Guardians look and feel is an overlay, one exclusively owned by Disney as opposed to CBS who owns the Twilight Zone look at feel. This property remains fresh, with children asking continuously about Rocket and Groot coming to the Disneyland parks, it seems like a natural fit. Like all Disney Concept art, there are Easter Eggs if you know where to look. According to screenrant, we may also see a glimpse of what a cast member’s costume could look like. 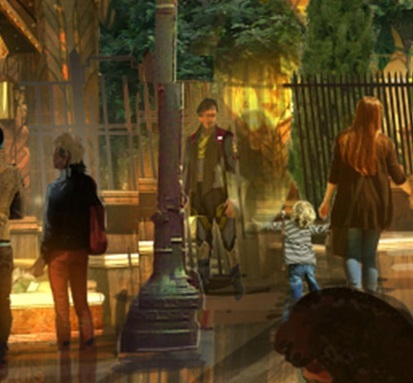 Pictured below, the person standing at the entrance to the collector’s tower could almost be one of the famous Bell Hops, given new life as the collector’s staff. They even bear the distinctive circular white symbol that represents the Disneyland Resort name tag, a symbol of every cast member. The prevailing attitudes regarding the Tower of Terror seem to be those of mixed annoyance and excitement. Die hard fans and cast members are upset that the lay of the land and the carefully constructed story that makes up California Adventure will be disrupted by Marvel’s presence. Others are excited but most are indifferent, preferring that Disney work it’s particular brand of magic on a well known property that’s had almost a decade to develop. It’s one that deserves a more stable home then a roving collection of experiences in various parts of the country. Disney is famously passionate about it’s projects. Beneath the company’s seemingly corporate heart is an endless fountain of creativity and genuine love for the work and the stories that they tell. The story is at the heart of everything they do and Guardians – a story of mismatched friendship and building your own family – is a perfect story for Disney to sink it’s teeth into. Yet the skeptics remain. This ruins the lines of site for the parks they’ll say, and it ruins the story. There is a story at the heart of California Adventure’s remodel. What began as a mismatched collection of Californian culture built to cater to outsiders became a story about Walt Disney’s life. Everything from the sweeping avenue of Buena Vista street to the meandering “drive” down past Route 66 and into Paradise pier speaks to something that Walt was passionate about. Fans of the park are asking how this will fit in to a park about California and if, this E ticket attraction is poised to anchor a Marvel Land, what will happen specifically to the California Adventure that they love? The truth of the matter is simple. As a story about Walt Disney there are two tenants that he lived his life by. Keep moving forward, and Disneyland will never be finished. Marvel and Disney’s partnership signifies both. With Marvel and Disney working hand-in-hand two creative powerhouses will be connecting over an incredible property. Together the two of them will keep moving forward to the stars. The Tower of Terror is expected to have it’s last days of operation (on the West Coast) in January of 2017. 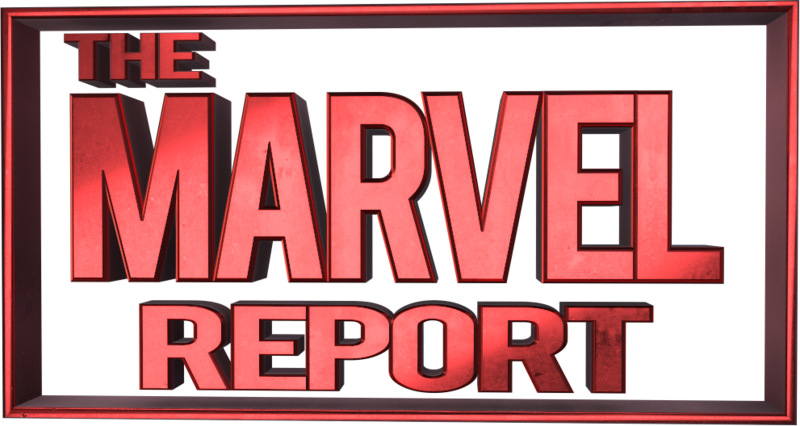 Stay tuned to the Marvel Report for updates on Guardians: Mission Breakout and the last days of the Tower of Terror. What do you think about this development? Do you think that Disney’s plans of Keep Moving Forward should be used or do you think that the Tower should stay where it is? Let us know in the comments below.